Your build log is impressive and I'm envious of your battlewagon inheritance. That's great man. There's a lot of the good ole days being channeled in that art. I'm looking forward to seeing the other clans, especially the best clan (Evil Sunz). The art looks awesome! 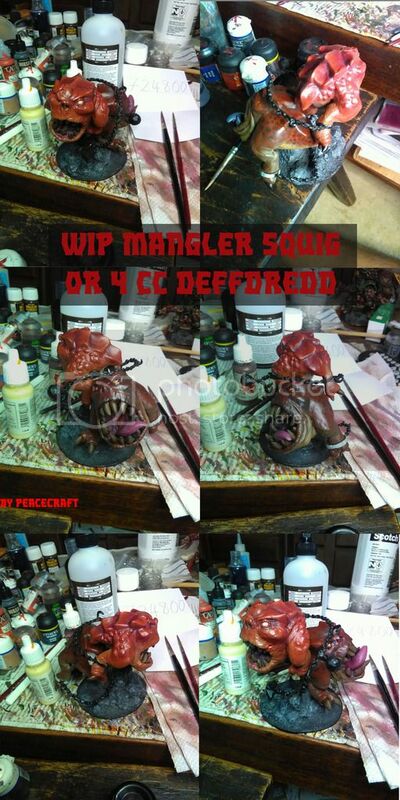 Cant wait to see Goffs done, just make sure they arent weedy like this uumie-look a like Bloodaxe! I can't see his watch and there's no ring on one of his fingers - needs more bling! Seriously though, it's oozing a very badmoon attitude - great werk. This one is aces all over. Just screams bad moonz at me. Maybe a tad much in the gangster trope with the little gold chain and earring but the rest makes up for it!! I think you can get away with the gangsta thing. Orks have always been a piss-take of various groups of society, some of the English lads here could probably remind us who RT orks were meant to channel. I really just don't have any suggestions or criticisms to make of this, he's great. Next! thanks guys! i'm enjoying doing these. next up will be deffskullz. gotta get back into proppa krumpin boyz! 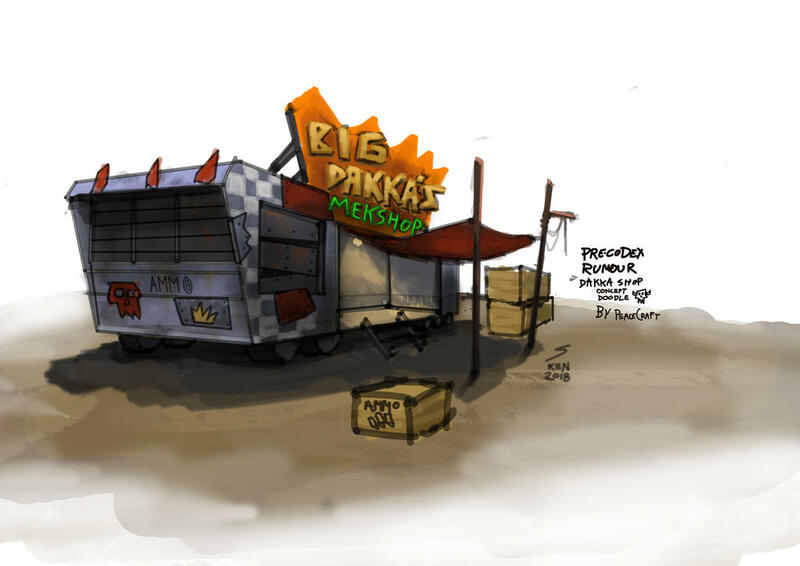 so i came up with this - a mobile trailer dakka shop that can be parked anywherefor maximum dakkaness. made this quick doodle concept so io can make my own ammo trailer to stuff my boyz pockets with maximumdakka. 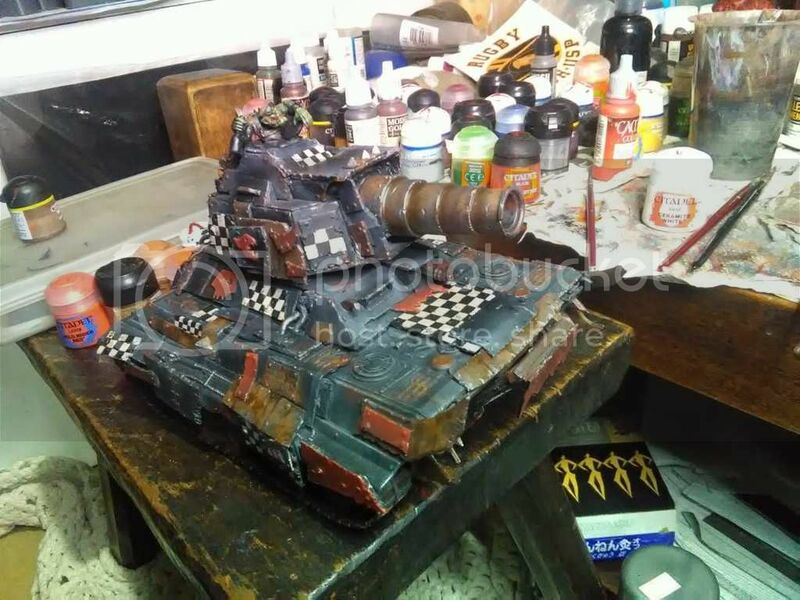 I even thought of using a transparent base so it would fit in any terrain without looking out of place and add a bunch of ammo crates all over that our enterprising gun monger brought to offer all da ladz. still just first steps, but i just had to get the ball rolling. 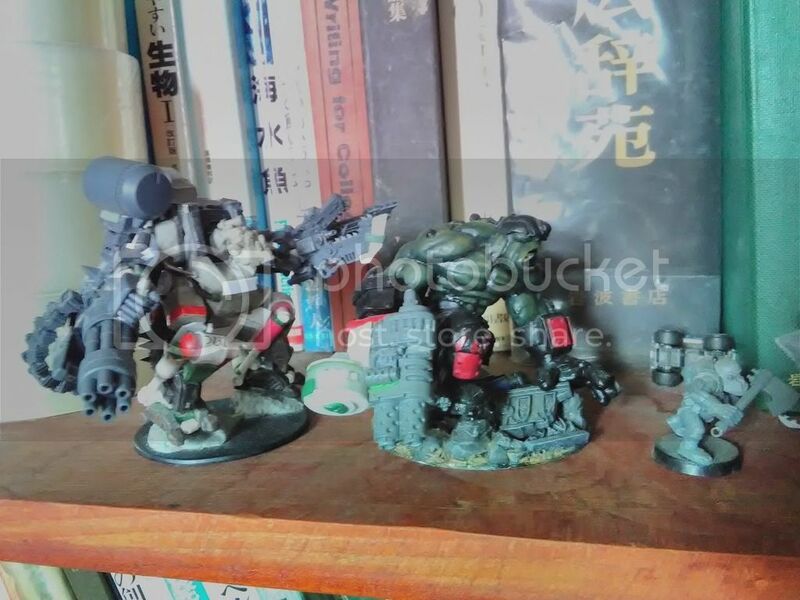 The middle one is reminiscent of the old FW battle fortress, but i really like the look of the one on the right. Damn good use of that whfb beast skull. thanks garslag! 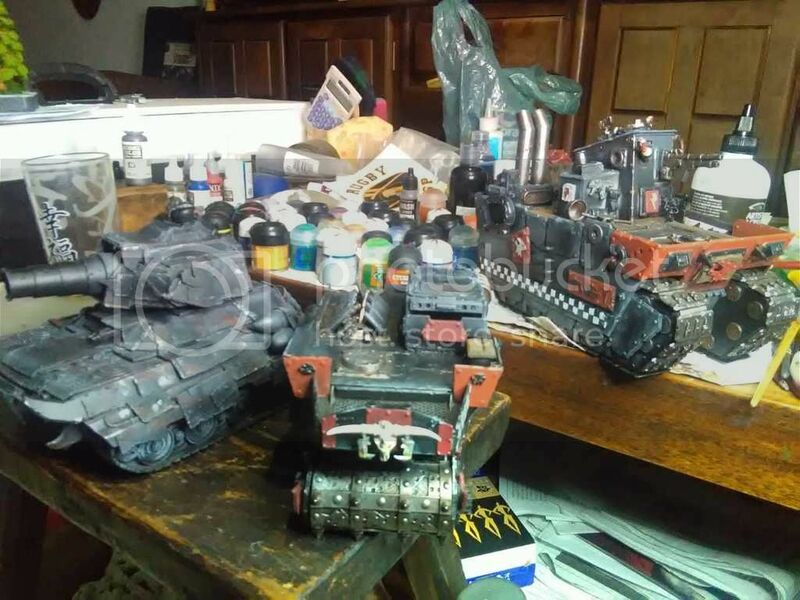 my friend scratch built the 2 on the right, i just added a few details like the deathrolla and the whfb skull (from the oooold goblin or orc army box i think). still got lotsa details and chipping to be sorted out on the big boy. 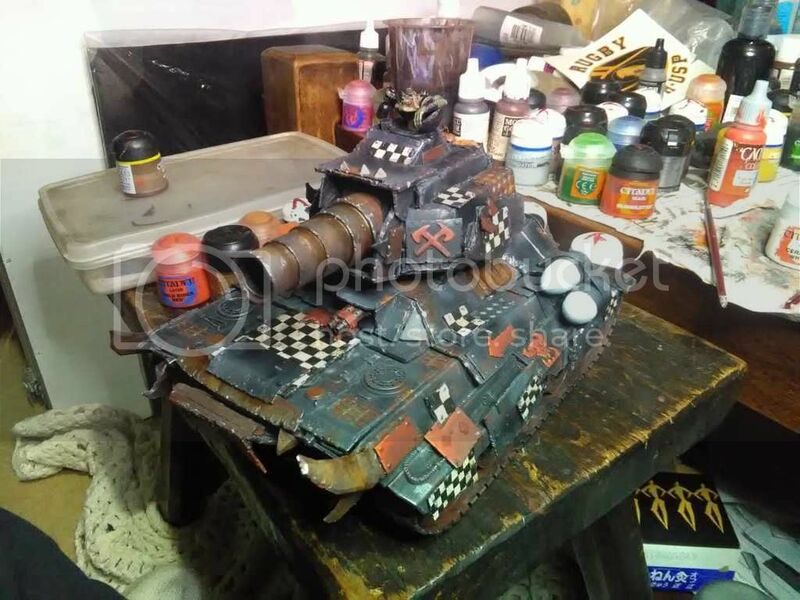 Them wagons is right proppa I love the tank commander coming out of the turret. Is he holding a bottle? You should put up a close up of him. He's like celebrating krumping some weedy gitz. @zagursnik thanks mate! drunk drivin' is the only drivin'! "Oi boyz, i iz sharing me first evva painted mureen! i iz right proppa proud of dis beakie"
As Zag says, Postimage has been picking up the slack since bukkit dropped the ball, if you just click on the link below then it'll take you straight to their website, sign up, upload your pix, use the link button over the pic you want to upload, copy the 'hotlink for forums' addy and just paste as is straight into your post where you want the pic to appear (don't use the forums' pikkylink box).